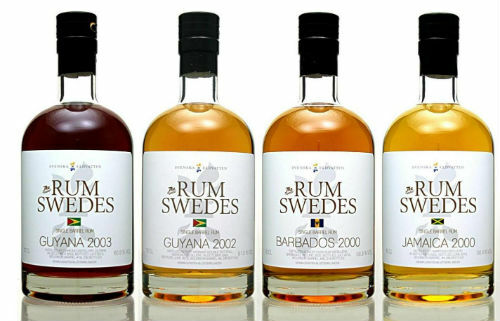 This fall came with four new rums in the “Rum Swedes” series from the Swedish independent bottler Swedish Firewater (www.eldvatten.se) with full proof single cask rums from Jamaica, Guyana and Barbados. I wrote a review of their Caroni 1997 Single Barrel Rum earlier this year. 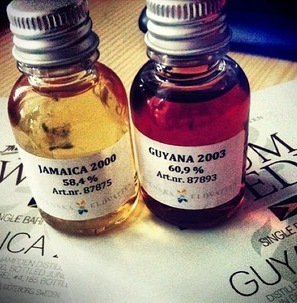 From Guyana i have two samples, one from 2002 and one 2003 and then Barbados 2000 and Jamaica 2000. From Diamond distillery and aged 9 years, (60.9%/121.5 proof) it´s a heavy rum with hints of smoke. The color is dark mahogany. Nose – Oh lovely demerara….it´s smoky, heavy, woody, dried tropical fruit, leather, banana peel, burnt molasses. A kick of strong alcohol if you come too close with the nose but a bit away from the glass a whole orchestra of flavors hits you. 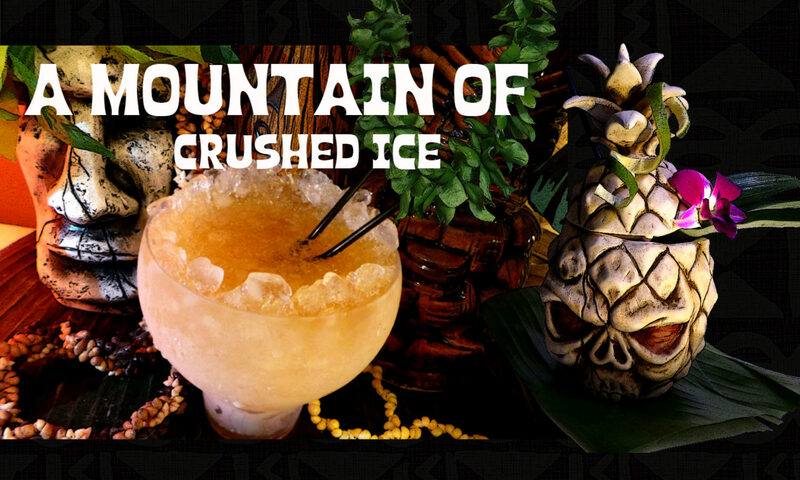 Mouth – I added some ice to the glass and it opened up the rum a bit and made it easier to drink. It`s typical dark demerara flavors, same as the nose and slightly smoky. The mouth feel is a bit viscous and slightly oily, just as it should be with this kind of heavy rum. Neat it´s all these flavors concentrated and the aftertaste stays with you for quite some time. It`s lovely! Distilled at the Port Morant Double Pot Still (61%/122 proof) the color is golden. 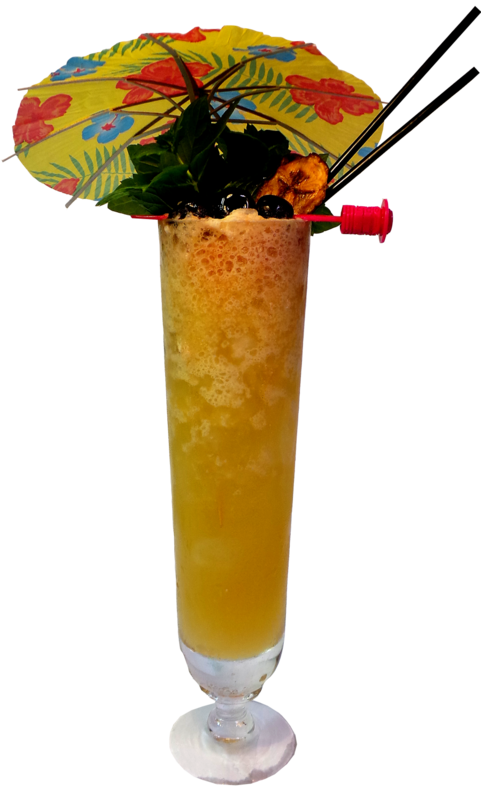 It`s a more elegant and fruitier rum than the first one. Nose – it has a lovely nose of both dried and ripe tropical fruits, banana, vanilla, mango, sugarcane. Mouth – a bit of wood, same tropical fruits as in the nose, sugarcane but not very sweet though, just fine. Neat you feel the wood more and then the fruits step in. A great rum! This rum is from Hampden Distillery which is famous for their high ester rums which are the result of very long fermentation of the molasses.They are doing their rums in an old fashioned way producing very distinctive but expensive rums. Very “creamy”, fruity, ripe tropical fruit, banana, sugarcane, very pleasant nose! So tasty! tropical fruit again, banana, banana peel, overripe mango, brown sugar..some wood, burnt molasses. A rich rum with an elegant aftertaste that lingers in the mouth for a while. And the last one, from the island of Barbados where they say rum was first made in the Caribbean. This rum is distilled by the West India Rum Distillers which are located at Brighton, Black Rock in the southern parish of St. Michael on the island of Barbados. The distillery dates back to 1893 and was established by two German brothers (the Stades brothers) who wanted to produce rum to be shipped to Germany. It returned into the hands of Barbados again in 1903. They are using two old pot stills and four column continuous stills. The famous Cockspur rum is distilled there. The nose is a little fruity and sugary with something more, maybe toffee? Fruity, a little wood, toffee, pralin, sugarcane, hint of chocolate. It`s not a heavy rum but rather elegant. Neat it has some more punch of course, after all it´s 116.8 proof. They are all very good rums, i`d say the Guyana 2003 and Jamaica 2000 are my favorites of the four. They fetch the same high price as the privately bottled Caroni and Demerara rums in Italy and is about 120 euros a bottle and can as far as i know only be purchased in Sweden. There´s only 215 bottles of the Barbados 2000, 245 bottles of Guyana 2000, 185 bottles of Jamaica 2000 and 230 bottles of Guyana 2003. Shake with plenty of crushed ice and pour into a double old fashioned. Top up with more crushed ice if needed. Garnish with a mint sprig. 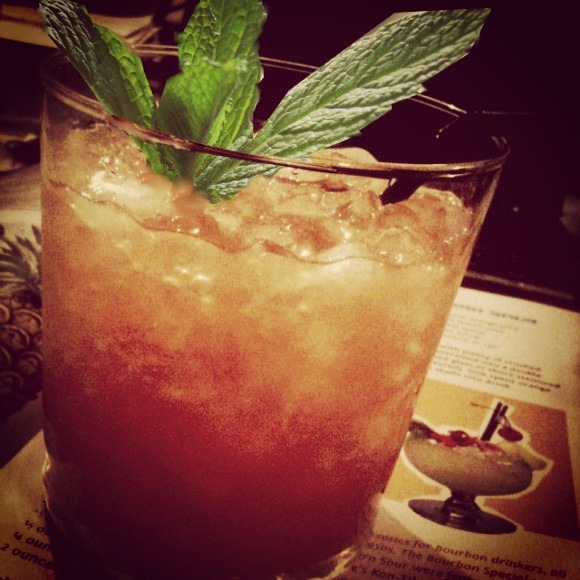 I think the mint is an important part of the Mai Tai, it adds that fragrance and you should spank it before adding it to the glass and then add a short straw placed near the mint. The spent lime shell adds some of that lovely lime oil to the drink. These two rums made an excellent Mai Tai, the drink was strong, flavorful and refreshing. They paired very well with Appleton Extra but if they had been of lower strength, say 55 % i would have used one oz of each. 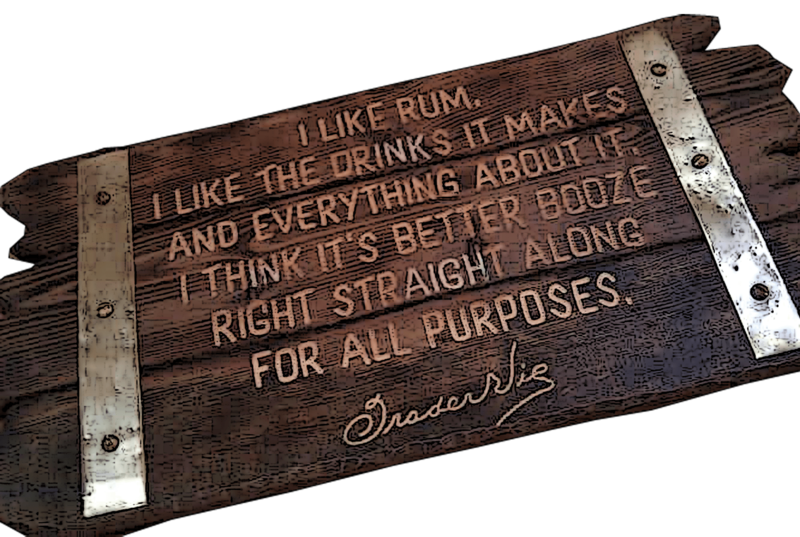 Either way you can`t go wrong with these good rums. Yeah i know, Guyanese and Jamaican really sounds good but prices are crazy. They all sound lovely, especially the Guyanese and Jamaican ones. Shame about the prices, though. Previous PostPrevious Potions of the Caribbean!